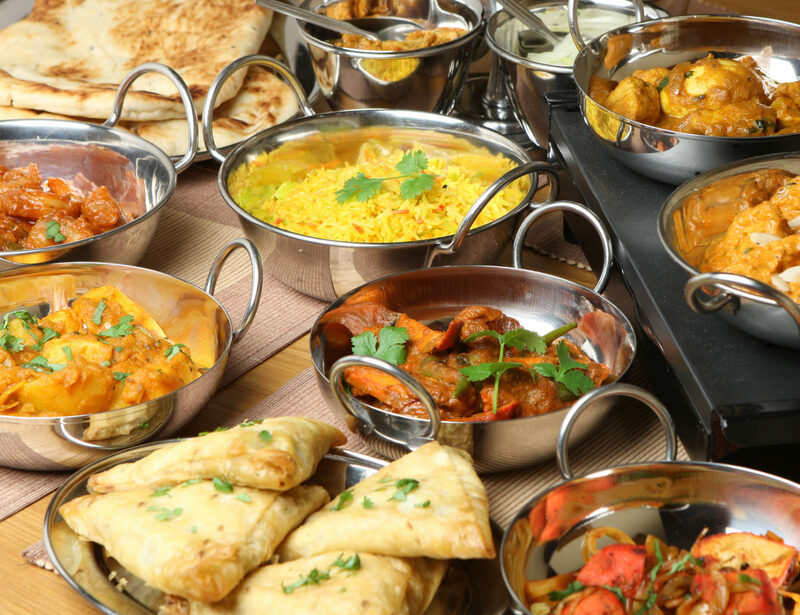 Most people think of Indian food as spicy, hot, fatty, oily, heavy, and something that can add pounds to your body. This is common and there is no harm in thinking along these lines. However, you might even like it as it is exciting, delicious, and something that has exotic seasonings and flavors. So, whatever, image you have about Indian food or cuisine, you might have one thing common which is the authentic spices used and the actual fact that it is healthy for your day to day diet. What’s The Craze With Indian Food? You know most people adore Indian food because it has a whole lot of fresh fruits and vegetables boiled and cooked in various methods, thereby maintaining the nutrients and freshness. Most cooking procedures will take away the nutrients and fibres present in vegetables and fruits, thereby losing the nutritional factor. You get to enjoy the health benefits in a better and more enjoyable way compared to the original method of cooking. If you check out the traditional Indian dishes, the common factor is the fresh ingredients. Also, the dishes are created from scratch, so it means that not only it will be nutritious but they also contain less preservatives. The authentic method of cooking food will easily replace prepared and ready to eat meals that are available in packed containers which lack the necessary nutrients. Among the various cuisines, Indian cuisine is one that is filled with huge amount of delicious and authentic spices like ginger, turmeric, green chilies, and garlic; all these are packed with essential healing and medicinal properties. When individuals feel or assume that Indian food being spicy and hot must be avoided, they should know that they are simply nutritious for the body and provide a good amount of taste at the same time. Various researches and studies show that traditional Indian food is filled with good amount of fats, proteins, fats, and carbohydrates; which are the required elements to provide you a balanced diet. Yogurts are common in Indian food and these are made from fermented milk. This keeps our digestive track healthy as it has good bacteria. In addition, these contain good amount of calcium, so consuming them regularly will avoid gaining weight and prevent insulin resistance which is the common precursor for coronary heart diseases and diabetes. A common misconception among people is that Indian food is spicy and hot, well that is really bogus. Spices are indeed used in Indian culinary but it isn’t what makes the food items spicy. With regard to chilies (which are both red and green) that provide hot flavor to the food, it is a matter of preference and if you want can be avoided in most food stuffs. Also most of the Indian food (i.e. not all of them) have 10 variety of spices. Ancient Indian culinary have shown that main dishes are easily and efficiently created with one spice that can be quite tasty. This is quite wrong and like most sayings that Chinese food contains soy sauce, Italian food is mainly pasta, some people feel that Indian food is filled with oil and curries, making you put on weight. With regard to Indian cooking, you can make food with six tablespoons of oil or even with three. It simply depends on your preference as there are variety of dishes which don’t need oil to cook. Such food items are made by steaming, roasting, boiling, or grilling the ingredients. Like we said, similar to other cuisines, Indian food has got its own sinful and decadent dishes. With regard to the nutritious aspects, many people who dislike Indian dishes or have never tried, will be surprised to know that there are multiple Indian vegetables used for cooking Indian food and that too in a healthy way. Not only they are less fatty and oily but are filled with required spices and nutrients that can make you go hmmm for a whole day. Seriously, who won’t want to eat their green veggies in a tasty and nutritious way? Do you know that spices like turmeric, garlic, ginger, and green or red chilies have medicinal and healing properties? These are the common ingredients used in cooking Indian dishes and consuming them can help you prevent certain diseases and also in improving your metabolism. Most Indian food is prepared from scratch and people often use fresh produce in preparing tasty dishes. Though it might seem time-consuming but it is made from the traditional way, which simply saves your body from the harmful effects of preservatives commonly found in pre-prepared and packed food items. One important thing that people tend to forget is that no one can force you down with the food that you don’t like. If you don’t want to consume more chocolate, then you shouldn’t and the same is about delicious Jalebi, Gaajar Ka Halwa, etc. Of course, these are tempting, still you can watch your weight if you have self-control. If you aren’t aware of what Indian food is about, then you might really believe that Indian food is difficult to cook. Dishes like Mutter Panner, Tandoori Chicken, Dal Makkani, etc are quite popular as well as delicious, and are simply easy to make. Frankly, this is the tip of the iceberg, as most delicious Indian food are easy to cook and simple to make. Curry is a major word that is linked with Indian food and curry powder is the key ingredient that is used in all dishes. This so called necessary powder is nothing but mix of spices called garam masala. Basically, it is added to enhance the aroma and flavor of the dishes. Even though the basic ingredients used are the same, still it might differ from each household based on the proportions used. Keep in mind that the higher quality of ingredients used, the tastier the garam masala will be, making the dish more mouth-watering. Indians prefer to make their garam masala before preparing dishes and this preparation of unique spices can be somewhat intimidating, especially for ones who are beginners in cooking Indian dishes. All you need is a good recipe and a grinder machine. There is nothing which can beat the fresh garam masala’s flavor. The staple diet of most people living in Northern India, Rajasthan and West Bengal are chapatti and roti. Traditionally, flour or atta used for making rotis was prepared from wheat. However, you can get multigrain atta in the market nowadays which contains equal proportion of jowar, wheat, bajra, sattu or barley. These ingredients are abundant in fibre, so it is good for your stomach and is rich in carbohydrates, thereby providing a lot of energy. Paranthas and chappati are both prepared using flour besides chapatis which is roasted on fire and paranthas with ghee or oil or butter. It is better if you go with flour made rotis rather than the fatty-oil fried paranthas. Most people know that pulses and dals have good amount of minerals and vitamins. They are the major ingredients used in our meals. Besides being rich in various vitamins like A, B, C and E and even minerals such as iron, potassium, and calcium, they contain good amount of amino acids too. If you are on a weight-loss diet regime, then simply replace other dal with moong dal for few months. Moong dal has less fat content and is appropriate for your weight-loss program. With regard to pulses, they are rich in dietary fibre and proteins and assist in controlling the level of blood sugar and keeping it under control. It helps in digestion and maintains blood cholesterol. Do you know that it can be beneficial for your health if these dals are cooked with other veggies with less oil? Another staple diet most Indians like to have is rice and they have a great liking for such grains especially the white one. Commonly, the white rice is polished and it is really good for our taste buds. However, they are high on calories. This is the major reason why dieticians prefer brown rice which is rich in fibre content. But if you don’t want to have brown rice, you need to have a single small bowl of white rice and if you want, supplement it with two chapattis. No doubt, this is a lovely combination of fibre and carbohydrates. It is somewhat having both health and taste in a single meal. This is consider as the chicken for veggies, the taste and softness of paneer, makes it likeable for young as well as old. Paneer is made from milk and is lesser in calories. However, the calorie content of the paneer is based on whether it is made from toned milk or full cream milk. Now it might be difficult to understand and know if the paneer bought from the market is made from the less fat milk, it is preferred that you make paneer at home using toned milk. The taste remains the same with the only difference in the amount of calories which is cut down. As paneer is created from milk, it is high in calcium as well as proteins. Even various studies have shown that panner helps in avoiding osteoporosis. Another major diary based product is curd which is beneficial for your health. This is prepared from fermented milk using certain kind of bacteria. It is quite excellent if you are planning for losing weight. The best part of having curd is that it helps in digestion as it has good bacteria which assist in it. You can use curd in certain dishes instead of cream so that you can get a creamer taste. Dieticians recommend that you make curd from low fat or toned milk at home. All over the world, Indian curries are famous for their oiliness, spiciness and texture. The oil which is floating at the top of the dish and the creamy texture provides great appetite to food lovers and even makes it avoidable for those people who are on diet. Of course, Indian curries can be made in a healthy manner by using non-stick pan with less oil and making the spices roasted. The mixing and mashing of the spices provides a unique flavor and taste to the dish. To get the creamy texture, you need to avoid using cream and go for yogurt. By using these healthy cooking styles you can make yourself healthy and ensure that the flavors are intact. If you go to southern part of India, the staple diet among people is idly. This is prepared using fermented dal and rice mixture which is steamed. Not only it is rich in carbs, but even has good amount of proteins. Being less in fat, it is easy to digest. And no doubt, it is the best breakfast to have when you are losing weight and really want to avoid having oats every morning. Just like most of the cuisines from all around the world, there will certain aspects which might not suit the healthy side. But with Indian food, you have the option to go on a healthier path, provided you use the correct ingredients and follow the correct cooking procedures. Most importantly, you must avoid using fatty ingredients like ghee or cheese and try to cook using vegetable or sunflower oil or low-fat dairy products.